This guide aims to show readers how to use positive thinking to change their lives. The mind and subconscious possess extraordinary powers. The author explains self-hypnosis, and how it can be used to help you unlock your true potential. 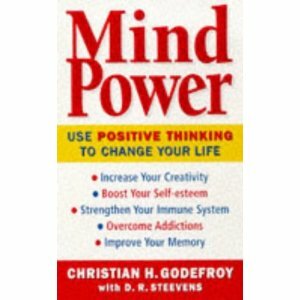 Mind power by Christian Godefroy is a book about how to use positive thinking to change your life. It has also practical lessons on how to increase your creativity and boosting your self confidence and self-esteem, strengthening your immune system, overcoming addiction and improving memory. It mainly teaches you that how to use your subconscious mind to achieve all these and to achieve what you want. The book first presents the two general chapters on the hidden powers of the mind and how to induce self hypnosis and then there are specific chapters on each individual problems. The book is written in easy well understandable language that any body can follow it practically. It shows some easy but powerful ways to change your life style for better. And it mainly through self hypnosis and giving one self autonomous suggestions. As per the book everything happens in our life, mainly depends on our subconscious mind. Thus by altering the kind of suggestions we give to our subconscious mind, we can easily change our bad habits and even the addictions like smoking. After reading the book in just two days, I doubted that whether everything written in the book is true! but after trying it practically for 40 days, now i feel that these are very powerful tools featured in the book. I will really recommended it to read everybody.